What is the perfect dessert for a romantic evening? 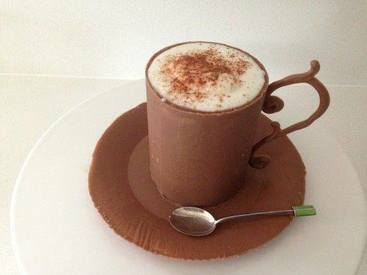 A cup made from chocolate filled with mousse and topped with a vanilla foam. Today is National Whip Cream Day, and since I can't "dip" whip cream in chocolate, I thought making a chocolate cup and filling it with a whip cream mousse would be an excellent way to celebrate this food holiday!